Osze (A469807) and Guerro (A469808) felt like they’d hit the jackpot when their favorite PHS gal pals told them they were going on a Foster Field Trip! Handsome father and son started the outing with a lunch date, where they impressed the restaurant staff and guests with their impeccable manners. The ladies window shopped while Osze and Guerro enjoyed social sniffing and people watching before heading to the park. Both boys loved the Spring air, fresh grass smells and meeting new friends, furry AND human. 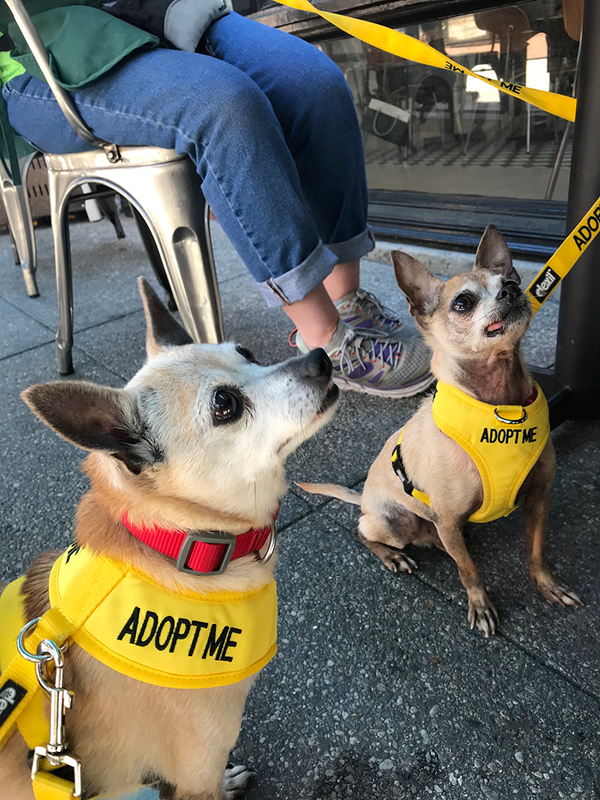 These polite pups came back to PHS and promptly sent thank you notes to their foster friends for the amazing day out. Such good doggies! Enjoy this adorable picture or, better yet, come meet these special guys at the Pasadena Humane Society & SPCA. 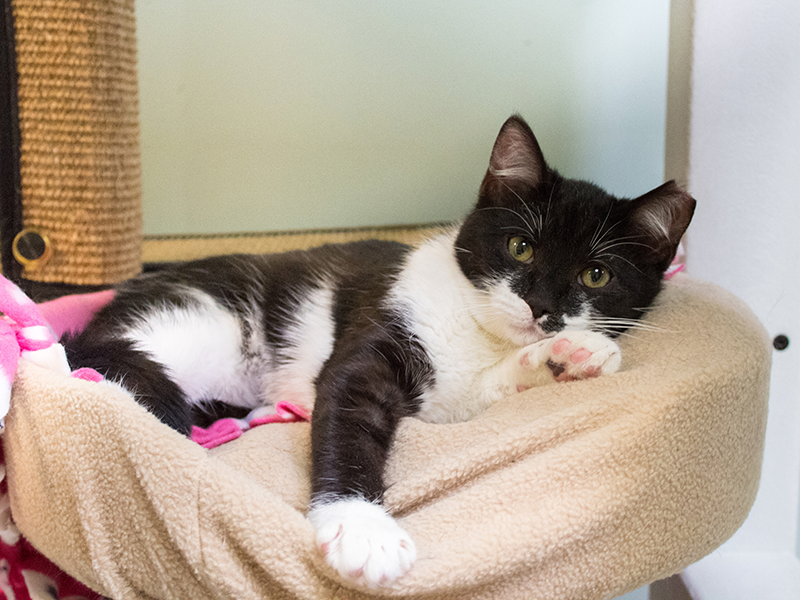 This 5-month, cutie patootie kitty seems to feel the safest snuggled up high in a cubby so voila, “Cubby” was the name fittingly bestowed on him. He’s letting down his guard a bit which is great because we all want to scoop him up for cuddles! This little cat is so darn…darling! Cubby doesn’t know yet how amazing it is to be adored with the promise of forever. We love you Cubby and know your forever home is just around the corner!